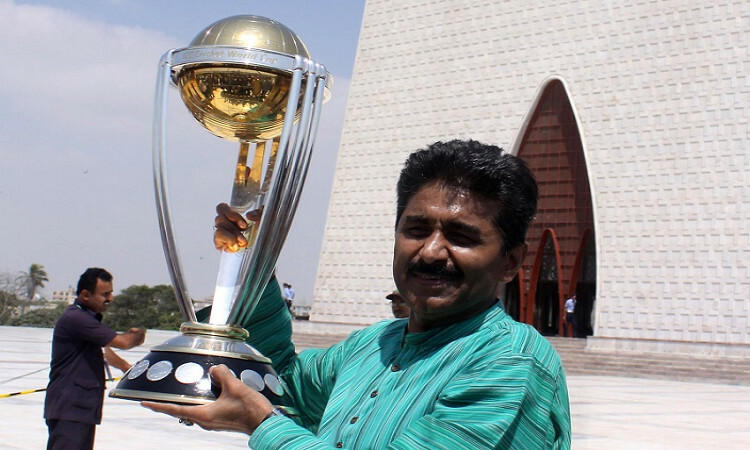 Islamabad, Feb 22 (CRICKETNMORE): Former Pakistan star Javed Miandad has slammed the Board of Control for Cricket in India (BCCI) for reportedly planning to bar Pakistan from the ICC ODI World Cup to be held later this year. "There is absolutely no chance of the ICC listening to the BCCI as its constitution allows members the right to participate in its events," the legendary batsman was quoted as saying by the Dawn on Friday. According to media reports, the BCCI is allegedly planning to approach the International Cricket Council (ICC) to prevent Pakistan from participating in the One-Day International (ODI) World Cup to be held in England and Wales from May 30 to July 14. Several former BCCI officials have also called on the board to boycott the group stage match between India and Pakistan following nationwide outrage over the February 14 terrorist attack in Jammu and Kashmir which led to the martyrdom of more than 40 Central Reserve Police Force (CRPF) troopers. Miandad also criticised former India captain Sourav Ganguly, who has urged the BCCI to take a tough stance on cricketing ties with Pakistan. "I think Sourav wants to run for elections in the coming days or wants to become the chief minister as it is just a publicity stunt to gain attention of his country mates," Miandad said.